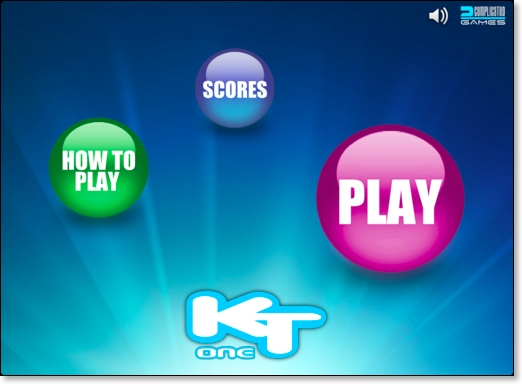 KT-One is an easy-to-learn trick-taking card game facing 4 players. 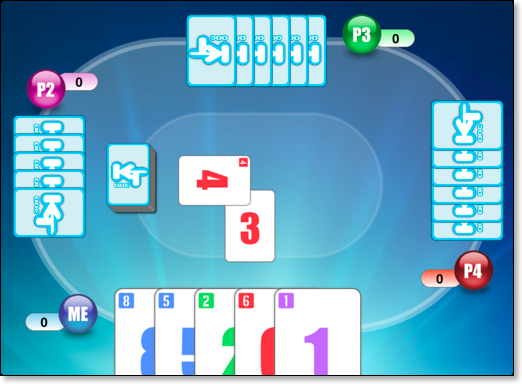 Each player receives 6 cards and plays for his own trying to qualify himself to the final and win the last trick of the hand. - The Qualification phase (4 first rounds) where the goal of each player is to qualify himself to the final phase. To be qualified, a player has to take at least one trick. 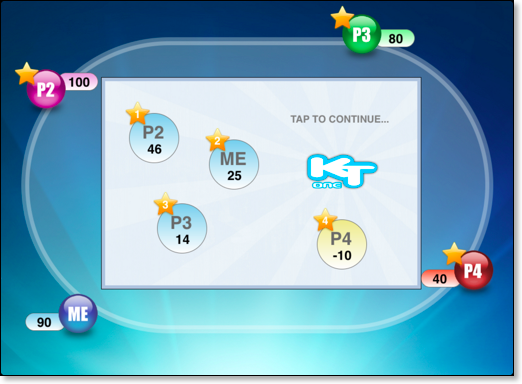 - The Final phase (2 last rounds) where the goal of each qualified player is to make the last trick. Winner of the last trick win the hand regardless of what happen before ! In KT-One, reference color is defined by the first move of the trick. 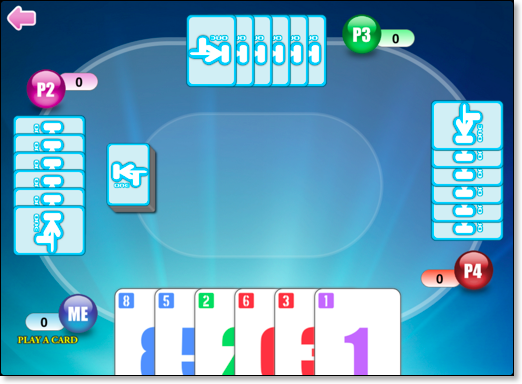 Next players are then free to play any card (no forced or forbidden move). But to take a trick, a player has to play the highest card of the reference color. 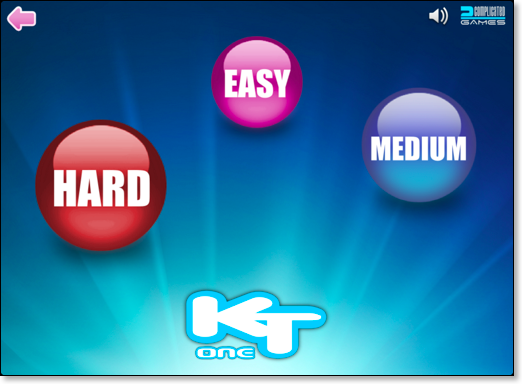 The interesting part of KT-One lies in these two original phases. You will have to use your higher cards to qualify yourself to the final but you will also need to save some to be competitive enough during the final.